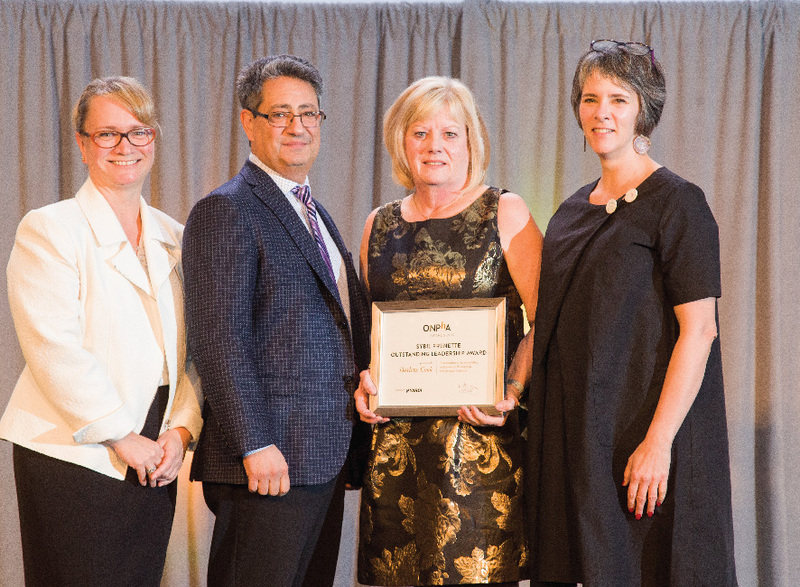 We caught up with Darlene Cook, CEO of Peterborough Housing Corporation and ONPHA’s 2017 winner of the Sybil Frenette Outstanding Leadership Award on winning the award and what’s ahead. See what she had to say below. How do you feel about being selected as the 2017 winner of ONPHA’s Sybil Frenette Outstanding Leadership Award? I’m feeling incredibly honoured, and very awestruck. It’s extremely meaningful for me, because when I reflect back on some of the leaders who’ve won before me, these are people who I have a lot of respect for, and people who’ve inspired me. So, to be one of the folks on that list? It’s very special. What’s the one piece of advice you’d give to other housing providers moving into 2018? Keep an open mind. Try to view change as an opportunity, rather than a challenge. Change can make us all feel a little fearful or anxious, but if we keep our minds open and start to look for opportunities, I think we’ll find that change will serve us all very well. What impresses you most about Ontario’s non-profit housing sector? Without a doubt, it’s the passion and dedication that the people within our sector have for housing. We work in a sector where we have the privilege to make a difference. When tenants meet and interact with staff that are so passionate, and so dedicated to ensuring that the client experience is excellent, I’m blown away by it. I’m also impressed and pleased to see so many people of different backgrounds moving into the housing sphere. They’re coming in with knowledge and expertise from other sectors, and a sense of entrepreneurship. Seeing their willingness and ability to take on the housing piece, but to add that different background, is really encouraging. It gives me confidence that we’ll be able to take housing to the next level – to embrace change, and not see it as a barrier. If you had a “Housing New Year’s resolution” what would it be? I think that education for housing professionals is really important – and it will be even more important in this changing environment. So, I think my resolution would be to keep working to ensure that there’s lots of information and education available to help housing providers make the most of new opportunities, to help them embrace them. We can’t shy away from change. We need to face it head on – to understand the changes ahead, and make them work for us.